What will the energy-efficient house of the future look like? The Journal asked four architects to design an energy-efficient, environmentally sustainable house without regard to cost, technology, aesthetics or the way we are used to living. 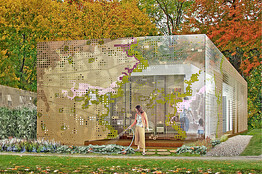 Cook+Fox’s winning entry: Live Work Home is featured here.